When we left off last week, Kaitlyn Bristowe had gotten an earful from the guys about how Clint and JJ were the bad apples in the house, that they were two-faced, and that they needed to be sent home. Kaitlyn had heard enough after pretty much all the guys came to her with those same complaints, and sprang into action. Welcome to Week 4, where Kaitlyn handles her business! So…uh…that was kinda weird, huh? JJ slapping himself? Anyway, after all that stress and drama, Kaitlyn couldn’t even bear the thought of a Rose Ceremony -- so she just cancels it. Apparently it is that easy. After that, Kaitlyn and the guys head to New York City to continue the dating. First up is a group date where the guys will have head-to-head rap battles on stage in front of an audience. 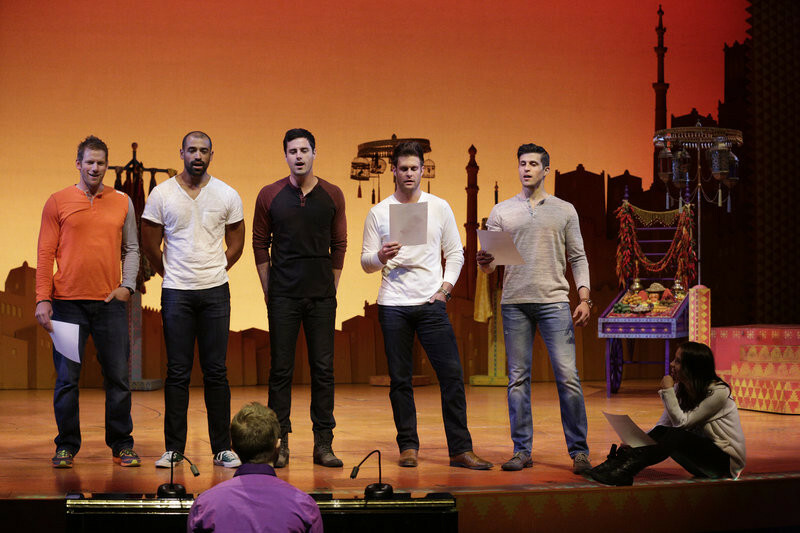 The next group date is an audition for Aladdin on Broadway. (For reals.) Whoever wins gets to play a bit part in the production with Kaitlyn, and the rest go home. But enough about love or whatever -- WHEN DOES NICK ARRIVE AT THE HOUSE?!?! Well, he arrives right at the end…so we have to wait until next week to see what goes down, and who goes home.